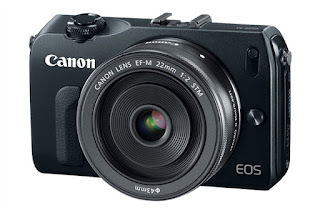 Announced out of the blue the Canon EOS M is a late comer to the mirrorless market. That does not make it bad - far from it. Canon has a track record of following competitor products and doing a much better job. 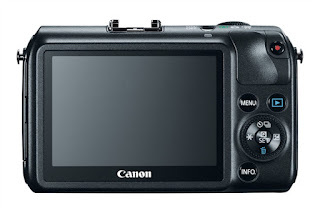 Will anyone ever remember that Canon followed Minolta into auto focus and even trailed Nikon into video, albeit by a few weeks. I have no doubt that it will be a fine offering, spoiling quite a few mirrorless parties that it's competitors are having, particularly as it has the largest sensor of any mirrorless camera, bringing low light performance that others have struggled with in this arena. The design is very safe and won't win any awards for pushing the envelope for innovation. Though I'm betting the touch screen user interface will be particularly good. Build quality I suspect will be fine too with its metal construction. It's not quite the camera I hoped for though. I'm guessing that Fuji in particular will be breathing a sigh of relief that Canon have played it relatively safe with this offering - leaving only themselves and Leica (who would have thought it?) in the retro/heritage market, with the the higher margins associated with being niche. There lies the rub for me. 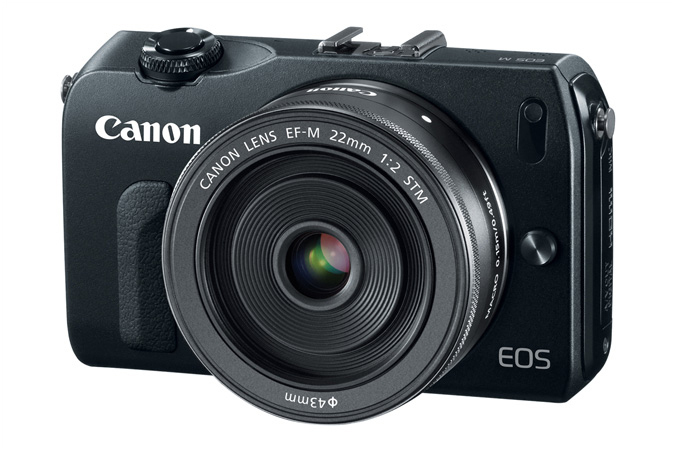 I feel the EOS M will be a good camera and a big sales hit, but in a sea of 'me too' mirrorless offerings will find itself slugging it out in terms of price instead of perceived quality. At the moment, following a particularly effective firmware upgrade I'm in a 'Love' phase with the camera. Which seems to have made the most of the good bits and helped the bad bits (autofocus in particular) and for all it's quirks and annoyances, it remains a firm favourite, and possibly the first digital camera I have had some sort of 'connection' with. If someone were to build a 'heritage' camera which had better autofocus, speed, less weirdness with cards and a more intuitive menu they would do very well indeed. I have suggested as much in previous posts. As much as I would love Canon to come up with some kind of offering I sort of hope that they don't. I neither love it or hate it. The no viewfinder is a disappointment on a model such as this. I can deal with that on m4/3 and point & shoots. I am going to be in the market for a small body "work camera" at the end of the year, and the main use will be some video B roll. So I'm willing to wait until the camera starts shipping and the webheads start slugging it out with this model. And don't forget, eventually someone will try and shoot a black wool sock by candlelight and will complain of banding LOL! As I've written many times on my blog, no camera is perfect. Even if there was someway to spec and build your own, there would always be something wrong. I prefer to exploit the best in a model and use it to my advantage. "particularly as it has the largest sensor of any mirrorless camera, bringing low light performance that others have struggled with in this arena." What about the nex-5N ? It beats the Canon 7D/60D/600D/650D 18 MPixels sensors both at low and high ISOs (and it's technically bigger). EM-5 and nex-7 ? They both perform better than the APS-C canon sensor at low iso.